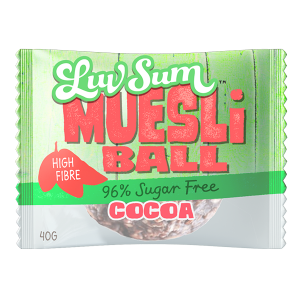 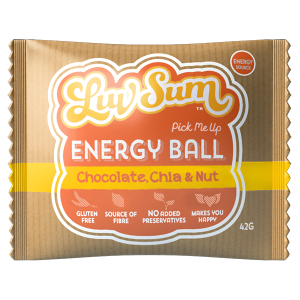 There’s alot to luv in this crunchy protein ball, a combination of unsweetened coconut and crunchy cashews. 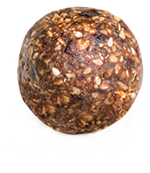 Filled with antioxidants, minerals, vitamins and heart friendly fatty acids. 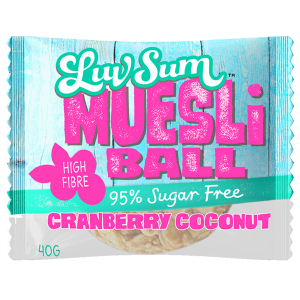 Bursting with taste this delicious snack will make you feel like you’ve just visited a tropical island. 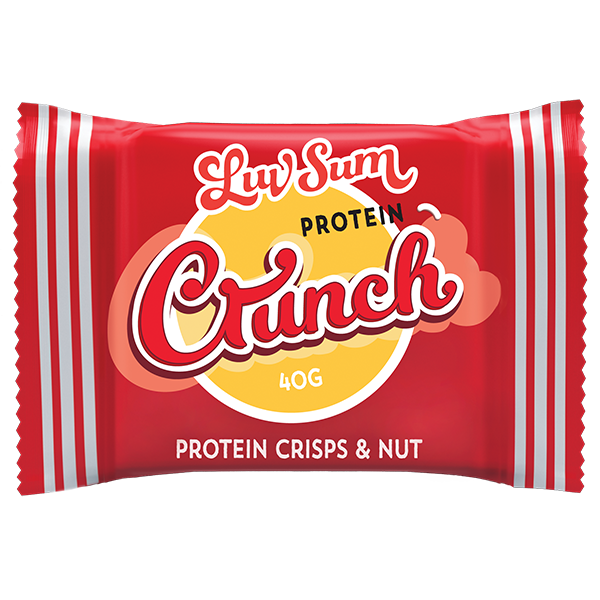 Date, Peanut, Cashew Nut 11%, Sunflower Seed, Coconut 9%, Whey Protein Concentrate 5%, Honey, Sunflower Lecithin, Coconut Oil, Natural Flavours, Mixed Tocopherols. 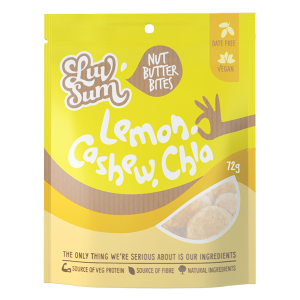 Contains peanut, tree nut (Cashews), milk (Whey) and soy (Mixed Tocopherols - highly refined soybean oil with the soy protein removed).